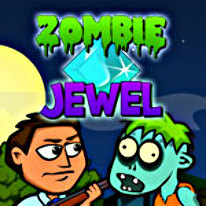 Survive the apocalypse in this Zombie themed Match 3 adventure! It was supposed to be a quiet night in the city. A few drinks with friends, or so he thought… but somehow Dan has found himself lost slap bang in the middle of a Zombie apocalypse. Now he needs to rescue his girlfriend Zoe and get home alive in this crazy & challenging Match-3 game. Together with some residents who’ve seen their fair share of Zombie Apocalypses Dan sets off to find his girlfriend and save her from the Zombie horde. You’ll need quick wits and a keen eye in this fun packed match-3 game crammed with 100 challenging levels. With the help of your new found friends, a bunch of cash and loads of crazy power-ups success rests in your hands! You have been warned! -Engaging characters and lots of crazy zombies!